Product prices and availability are accurate as of 2019-04-20 04:14:34 UTC and are subject to change. Any price and availability information displayed on http://www.amazon.com/ at the time of purchase will apply to the purchase of this product. Who doesn't need the perfect coffee scoop? Whether you're brewing a single cup or an entire batch for friends, this is the tool you need for that 'straight-from-the-coffeehouse" taste. 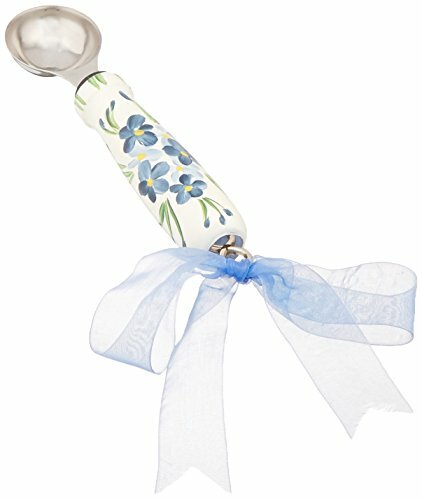 Art For A Cause produces a unique line of beautiful, quality, hand painted tools for the home, kitchen and garden called "CuteTools!". Art For A Cause is a Company which strives to promote an improved work ethic for the preservation of our planet and its people. Many patterns to choose from. Custom painting available upon request.